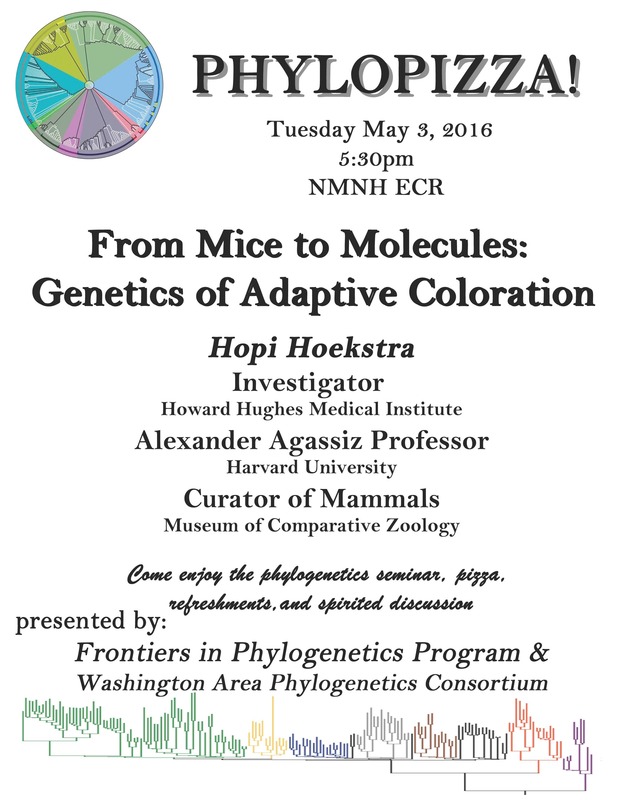 Our next PhyloPizza event will take place on Tuesday, May 3, at 5:30pm in the NMNH Executive Conference Room (ECR). 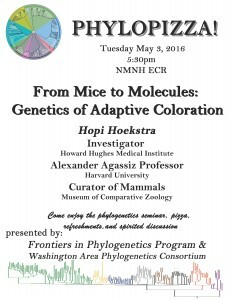 Hopi Hoekstra of Harvard University will give a talk entitled “From mice to molecules: genetics of adaptive coloration”. Join us!